The day has come! 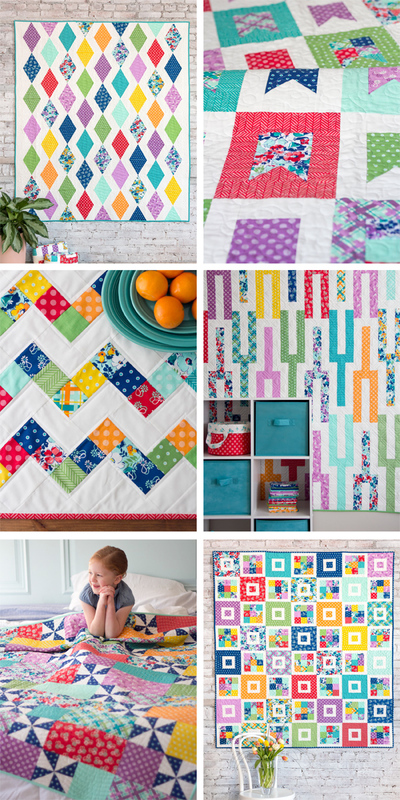 Hello Jane has shipped and is finally available at quilt shops and online! I’ve been nerves waiting for this to ship…waiting for other people to get it and see it in real life…so many nerves! You know I love mixing in bunches of solids each time I make a quilt, even when it’s my own collection. Solids make everything else POP! 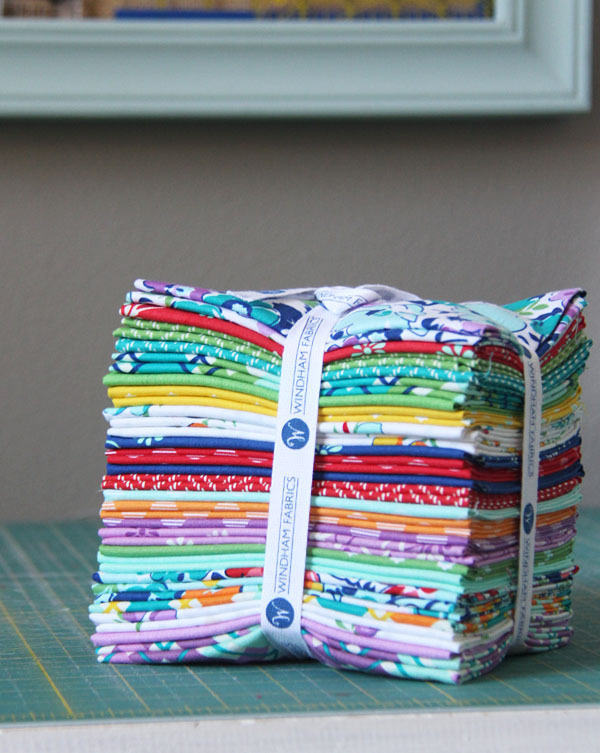 So I’m adding a list below of some solids that look great with Hello Jane. Most of them aren’t a perfect match, but really you don’t want a perfect match. It adds depth and interest to have a few different hues like I did in this quilt! If it was all one tone of purple and blue it would be boring! There are three textured solids that come with the collection and are perfect matches…if you want a perfect violet purple to match the collection this is as close as it gets! Here are a few of my favorite things I’ve made with Hello Jane and my past project posts! 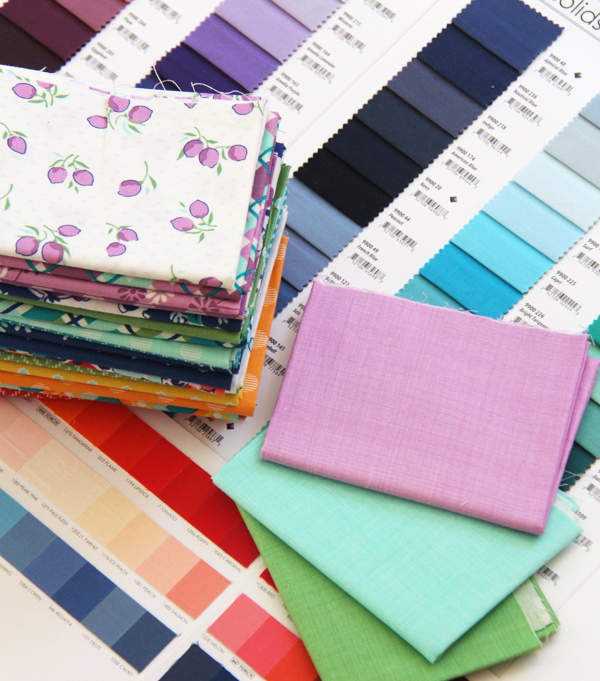 In case you are new-ish to this blog here is a post I wrote in 2015 about Choosing and Using Solids, including a big long list of my favorite solid colors that I use frequently. Checkout your favorite shops and they might just have Hello Jane in stock! Congratulations on a beautiful bundle. I love the addition of the solids. It’s just beautiful! So fun to see it at market, too! “Hello Jane “. What a wonderful day! It’s a beautiful line, Allison! And thank you so much for all the coordinating solid work you did ad well! Yay!! 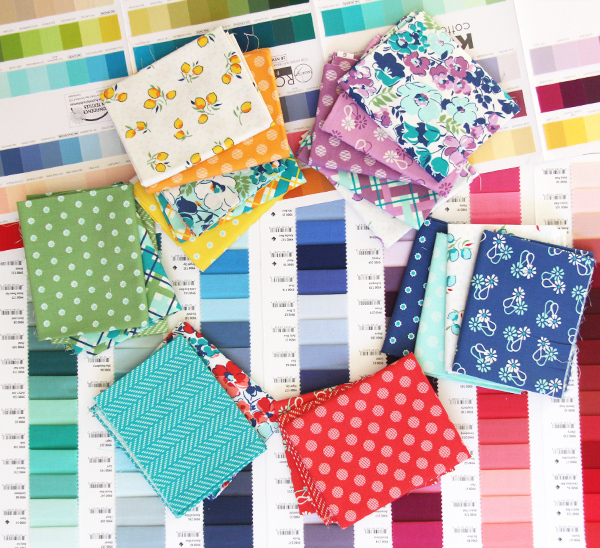 Looking forward to making a quilt with your new fabric! Thank you for sharing the many solids that would look good with it. I always struggle with matching these up – the little bella swatches don’t always cut it :)!! 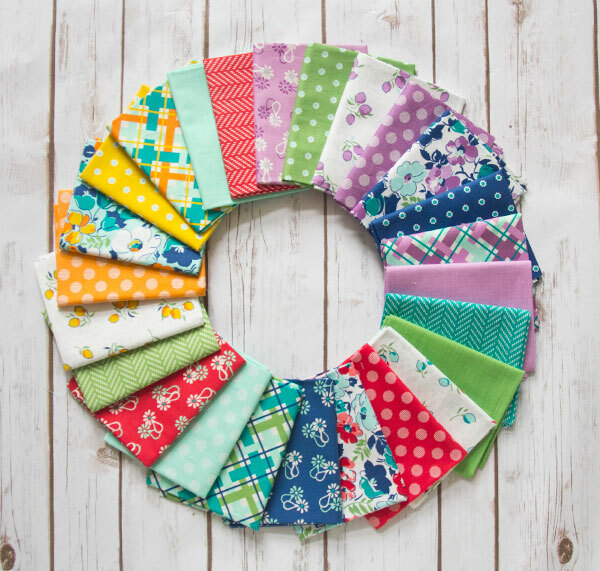 Another beautiful fabric line! They just get better and better!!! Congrats!! Congratulations again! It’s a gorgeous collection! I don’t think we did a thread box this time! Sorry! I’m so glad you like it Judith and thank you! This wonderful information! 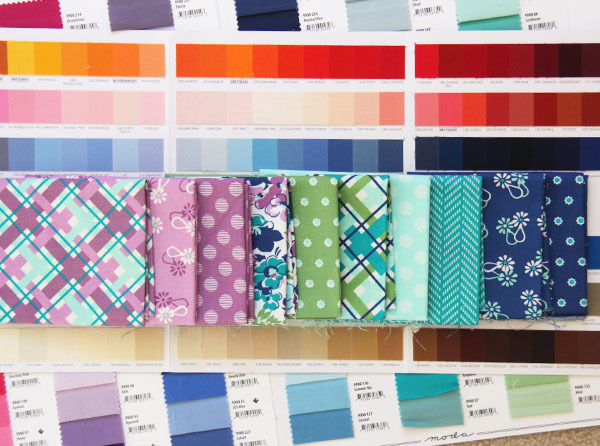 You’re taking all the guesswork out of finding solids to go with this gorgeous fabric. Thank you! If it is helpful some other colors that I think look great with this line (all Kona, because it was on sale): Breakers (dark, teal blue), Goldfish (matches the orange almost perfect), Ocean (dark royal blue), Parrot (green), Gumdrop and Corsage (lilac/purple). I also purchased Geranium, which doesn’t ‘match’, but looks so beautiful with all the other colors. I posted, because I had trouble finding some of the colors you listed above. Thank you for posting these Rebecca! You are the best! I’m going to try and get some of these too!